for positive change, social transformation or business. My name Ikechi Ugwoeje. 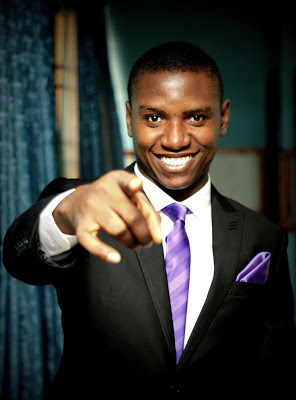 I am a media consultant and also the Founder and Coordinator of Frontline Media Academy. Can you give us a little background of Frontline Media Academy? What challenges did you face when you were starting up? Have you at any point thought of quitting? How has Frontline Media Academy helped Nigeria Media and the society generally? Graduates from Frontline Media Academy have been gainfully employed in several media companies while some have kicked off their own media ventures. Also the production quality of media based organisations has improved after representatives from these organisations participated in our training. Tell us about the next session of the Academy. 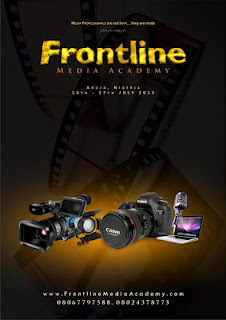 The next session of Frontline Media Academy will hold from 16th-27th July 2013 in Abuja, Nigeria. We will have the likes of Kelechi Amadi-Obi teaching photography, Kemi Adetiba training on DSLR videography and lighting techniques, Blossom Nnodim and Deji Bamidele will teach Social Media and several other courses facilitated by world class professionals. All these courses and facilitators are up on the website: www.frontlinemediaacademy.com. This year we have made it possible for participants to register for selected courses. This is helpful for people who are interested in just a few aspects of the training or those who do not have time to attend all sessions. One special feature this year is the 8 hours strategic session with Dr. Victor Oladokun on 'The future of Media'. Every person or organisation who wants to be relevant in media and arts in the coming years will need to attend this session. Where Do You See Yourself and the academy in Five Years? What's Your Perfect Day Like as a Media Manager, media entrepreneur and coordinator of FMA?Aside Frontline Media Academy I am also the CEO of Frontline Multimedia Consultancy Ltd, where we provide professional media production and consulting services for a wide range of clientele. Our services cover the following areas: Video, Photography, Graphics, Design, Prints etc. So a typical day involves me managing these two outfits. God's grace is sufficient for me. What Are the Management Challenges You are currently facing? Improving the standard of FMA every session whilst keeping the fee as affordable as possible means we will have more to handle with less resources at our disposal. God has been faithful to us, giving us very supportive partners all the way. I get motivated whenever I see determination in people to accomplish a worthy cause. That scenario motivates me. Share with us your dreams and aspirations.My dream is to see the best of media production and services in the world coming from Nigeria. My aspiration is that our organisation will be at the frontlines of this revolution.